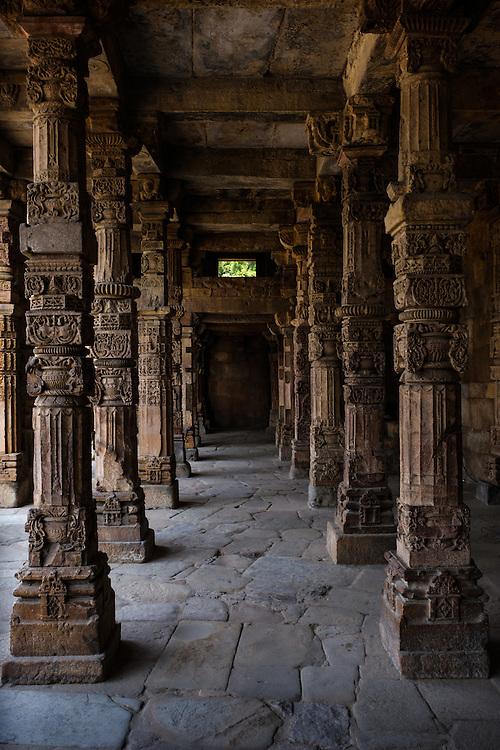 NEW DELHI, INDIA - CIRCA OCTOBER 2016: Intricate stone carvings on the cloister columns at Quwwat ul-Islam Mosque of the Qutb Minar Complex. The complex features is an array of monuments and buildings at Mehrauli in Delhi, India. An Unesco World Heritage Site and popular touriest attraction in Delhi.